These days, software (and a brilliant engineer) can work wonders – or havoc. A six-year-old program/company that analyzes facial expressions for ad campaigns and TV pilots, though not yet profitable, is getting much traction from the CBS’, Kellogg’s, and Unilevers of this world. Now boasting a database of 2.5 million facial samples, Affectiva asks its subjects to watch a video on the computer screen while a computer camera watches them back. Results, claim marketers, are a lot less touchy feely than findings from focus groups or polling. Future apps? Politics, education, and psychological conditions like autism. Facial analysis actually started with the same Charles Darwin who pioneered survival of the fittest. It continued with professors who’ve looked at almost every form of non-verbal communication known to man (and yes, chimpanzee too), from blinking rates (those who fluttered their eyes more in US Presidential debates lost all elections since 1980) to pupil dilation, eyebrow lifts, and forehead furrows. 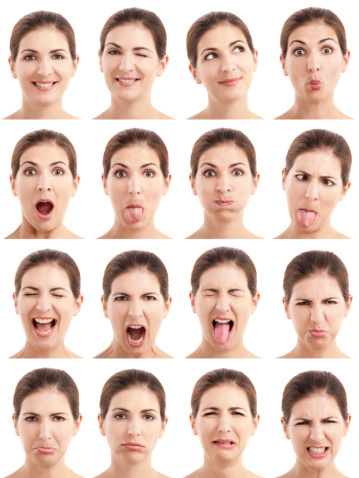 Clearly, expression provides major clues about what we think and feel. Yet no one has mentioned what might be the most intriguing of all apps: To determine the link between employees and engagement. Sure, it’s a bit Big Brother-ish (though subjects DO know that they’re being watched). On the other hand, how many of our leaders have questioned the percentiles of engagement, as foretold through surveys? When do we ‘know’ that our teams and staffs have disconnected from their tasks? At what time(s) would it be prudent to assess the state of employee well being? The computer knows. Or does it?